All inbound telephony communication relies on having a Telephony Handler configured in the portal. This Handler defines what phone numbers will be used to receive either IVR or SMS requests and must be configured before any inbound telephony flows can be used. Navigate to System > Telephony	and click Add Telephony Handler	. 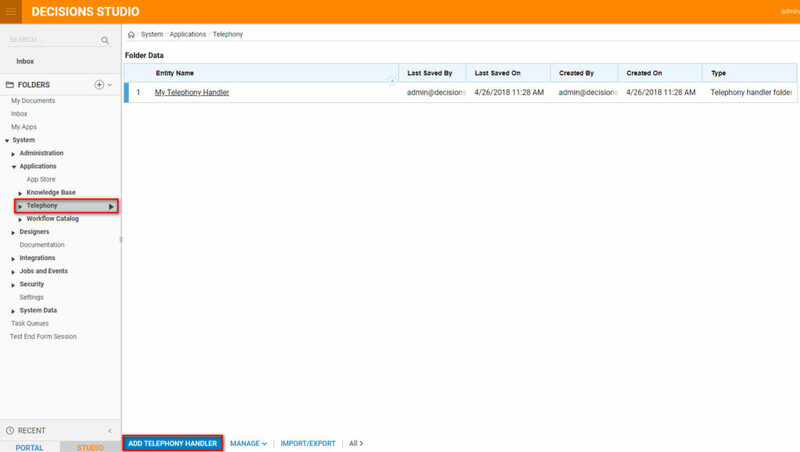 Fill in the information on the Add Handler	form making sure that Use SMS	is selected. The number you enter in Initial Phone Numbers	should be the phone number from your telephony service where you expect to receive SMS messages. After creating a Telephony Handler, you will notice that a new folder has been created at System > Telephony > [Name of Your Telephony Handler]	. 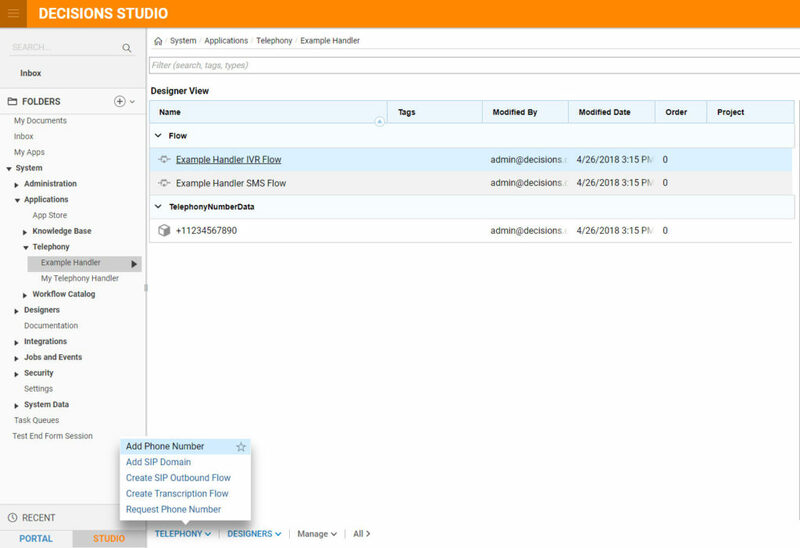 This new folder contains the flows to handle both IVR and SMS requests. 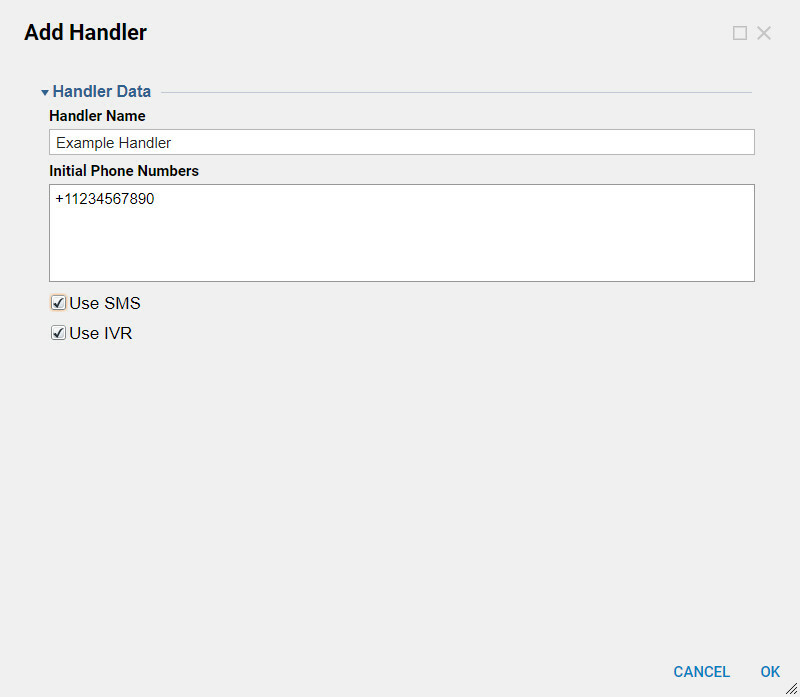 These flows will run when the associated number/numbers added to the handler are called or texted. Additional numbers can be added when the Telephony	button is clicked. If SIP accounts are going to be used the SIP domain will need to be added to the handler by clicking the Add SIP Domain	option and entering the domain name. Is Active	will need to be checked for active domain. 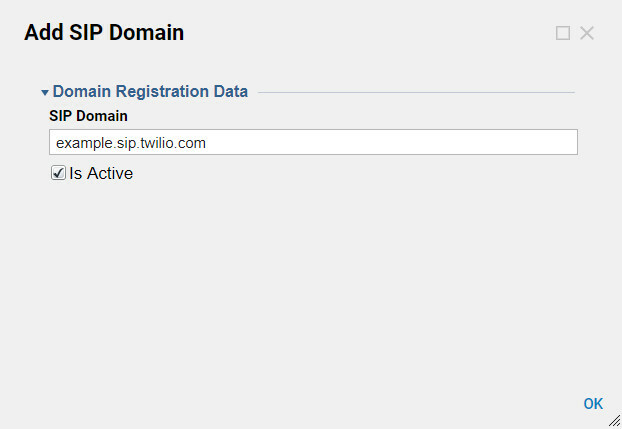 If Outbound Calls	will be place through credentials on the SIP domain an additional Outbound SIP Flow can be added. 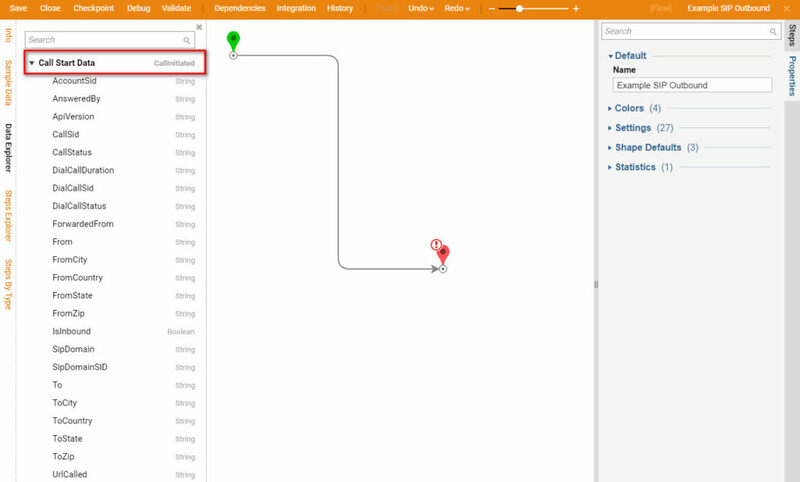 This flow will run when the credentials on the associated Handler SIP domain place an outbound call through a SIP client. 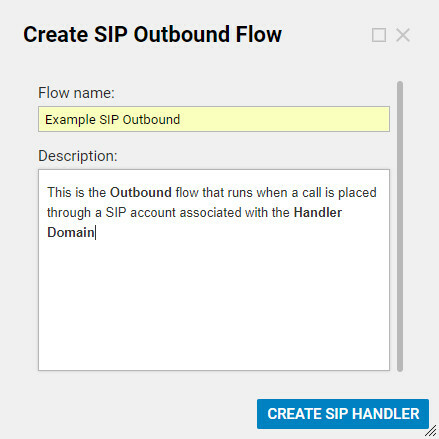 This SIP Outbound Flow will It have the Call Initiated	data associated with the call being placed as an input.